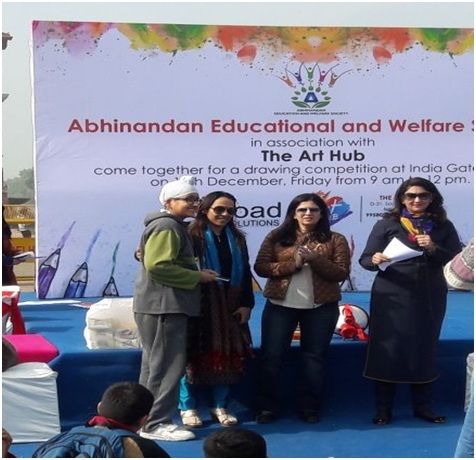 Abhinandan Educational and Welfare Society in association with Art Hub organised a drawing competition on Friday, 15 December 2017 to explore the creative potentials in the young minds of the children. 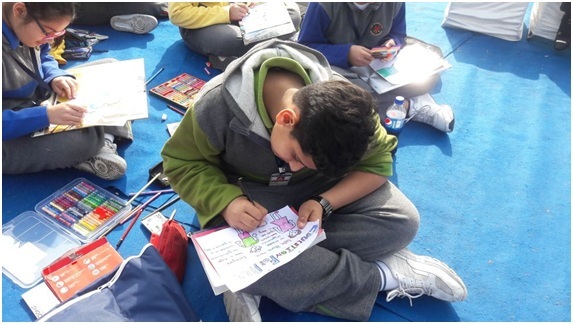 It was a grand success with a number of prestigious schools of Delhi participating in the event. Nearly hundred students of K.R. 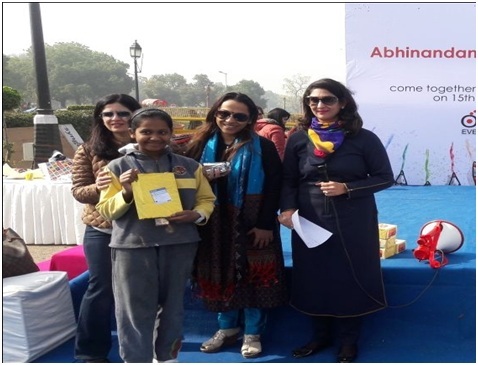 Mangalam World School, G.K.II participated earnestly in the competition.It was held at one of the sprawling and lush green lawns of India Gate. Transformation of a series of small things into visual expression was the main crux of this endeavour. The main thrust was towards stirring the imagination and providing a platform for innovation, exploration and aesthetics. The young participants spun magic which pulled the strings in the heart, mind and soul of the judges unleashing the forces within. The topic for the competition was ‘Education for All’. 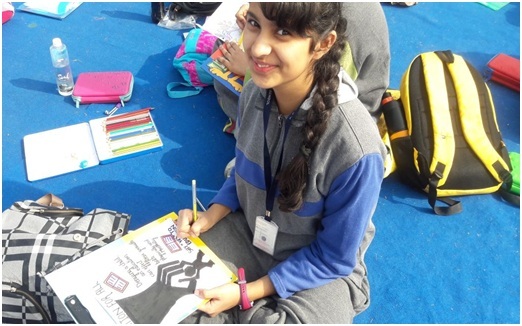 The students proved that they not only excel in academics but also shine in exhibiting their skills by their creative presentation. The event completed with flawless and stringent standards of evaluation and process.Chhavi Goyal of K.R. 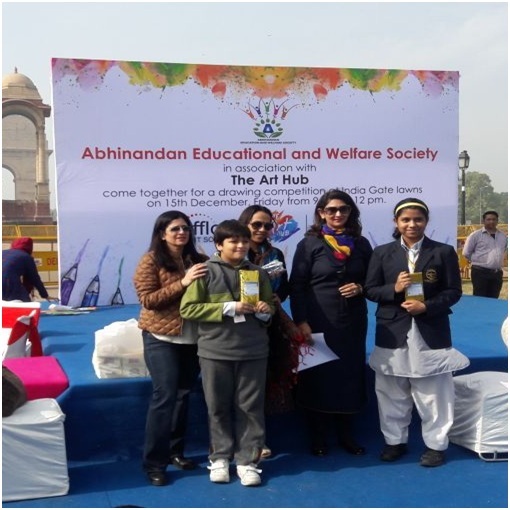 Mangalam World School was adjudged the best and was given the first prize. 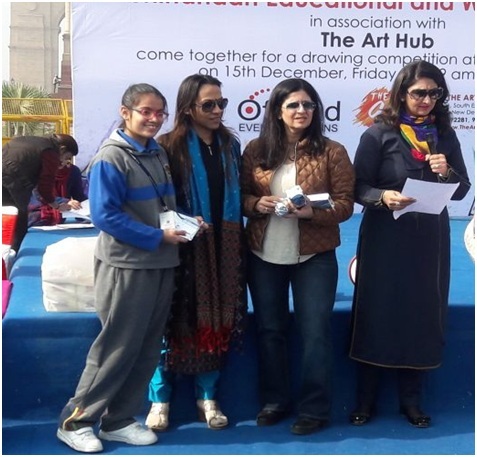 Shlok Ahuja and Vidhita Malhotra of the same school bagged the second and third position respectively and made the school proud.